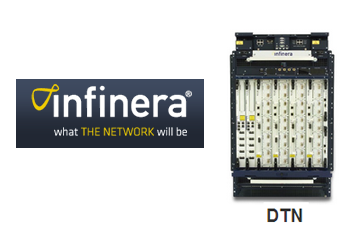 Infinera has completed Operations Systems Modification for the Integration of Network Elements (OSMINE) Services process for the its DTN-X platform and the latest release of its DTN platform. This was fulfilled for various products within the OSMINE process including inventory management via TIRKS, fault management via NMA System, and service provisioning via Transport Element Activation Manager. Ericsson’s OSMINE certification enables U.S. Tier 1 service providers to successfully integrate Infinera's DTN-X and the latest release of DTN into Ericsson Operations Support Systems (OSS) ensuring the interoperability of Infinera platforms with existing systems and enabling service providers to accelerate their network deployment rapidly upon selection of Infinera. Infinera noted that this is also a first for any network equipment vendor to accomplish an OTN-based OSMINE certification that includes ODUflex capabilities as the Infinera DTN-X and DTN are based on an advanced architecture that integrates WDM transport and OTN switching including ODUflex/ODU0 granularity in a single platform. "Completion of the Ericsson OSMINE process is an important achievement for network equipment suppliers looking to sell into the Tier 1 market," said Elisabetta Romano, Head of OSS, Business Unit Support Solutions, Ericsson. "This industry-recognized OSS network integration process validates that vendors like Infinera are ready to sell into the Tier 1 market and provides service providers with the confidence that the DTN-X and DTN platforms are network-ready solutions." "The test completion of OSMINE for DTN-X and DTN is a critical milestone for Infinera," said Tom Fallon, Infinera CEO. "This certification satisfies the requirements for our existing customer and proves to U.S. Tier 1 service providers that Infinera solutions can now operate with the Ericsson OSSs." IBM agreed to acquire Star Analytics, a privately held software developer based in Redwood City, California for an undisclosed sum. Star Analytics offers two products: Star Command Center (SCC) to automate and control processes across heterogeneous computing applications and environments, and Star Integration Server (SIS) for sharing Hyperion data. IBM said Star Analytics software will further advance its own business analytics initiatives, allowing organizations to gain faster access and real-time insight into specialized data sources. "Star Analytics software allows organizations to move critical analytics source data at will and use it regardless of which application they need to use it with, providing both flexibility and accessibility," said Quinlan Eddy, CEO, Star Analytics. "As part of IBM, we can now bring our technologies to a broader range of clients to help them uncover new, untapped growth opportunities." Cisco appointed Greg Brown, Chairman and CEO of Motorola Solutions, to its board of directors. Brown, 52, is chairman and chief executive officer of Motorola Solutions, Inc. He joined Motorola in January 2003 and was elected to the company's board of directors in 2007. He became CEO of Motorola in January 2008 and led the spin-off of the consumer-focused Motorola Mobility in 2011. He also served as president and chief operating officer of Motorola beginning in March 2007. Prior to joining Motorola, he was chairman and CEO of Micromuse Inc. from 1999 to 2003. 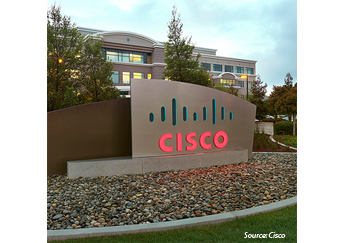 With the appointment of Brown, Cisco's board now consists of 14 members, including Carol A. Bartz, former CEO, Yahoo! ; Marc Benioff, chairman and CEO, salesforce.com, inc.; M. Michele Burns, former chairman and CEO, Mercer LLC; Michael D. Capellas, former CEO, VCE Company; Larry R. Carter, former SVP, Office of the Chairman and CEO, Cisco Systems; John T. Chambers, chairman and CEO, Cisco Systems, Inc.; Brian L. Halla, former chairman and CEO, National Semiconductor Corporation; John L. Hennessy, Ph.D., president, Stanford University; Kristina M. Johnson, Ph.D., CEO, Enduring Hydro; Richard M. Kovacevich, retired chairman and CEO, Wells Fargo & Company; Roderick C. McGeary, former vice chairman, consulting, KPMG, LLP; Arun Sarin, KBE, senior advisor, Kohlberg Kravis Roberts & Co. and former CEO, Vodafone Group; and Steven M. West, founder and partner, Emerging Company Partners.